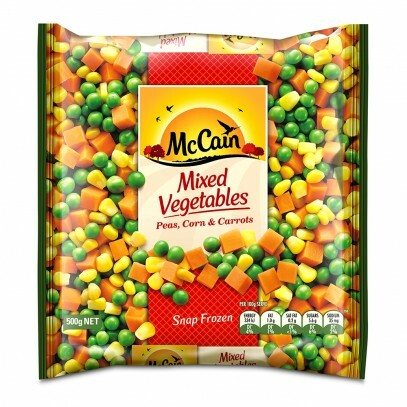 Carrots, Peas, Super Juicy Corn Kernels. 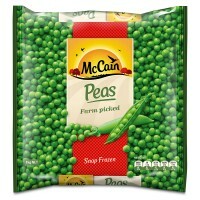 Place one cup of frozen McCain Peas, Super Juicy Corn & Carrots into a microwave safe container. 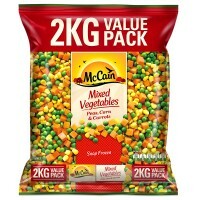 NOTE: Microwave instructions are based on a 1000W microwave. Please adjust accordingly. 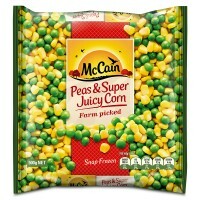 Place one cup of frozen McCain Peas, Super Juicy Corn & Carrots into a saucepan of boiling water. 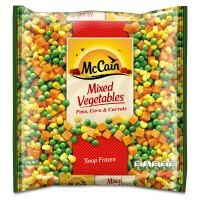 Return to boil and continue to cook for 3-4 minutes or until tender.